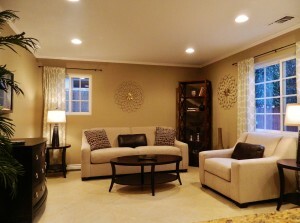 A professional home stager can be magical. They can transform your “ho-hum” house into a property that will not only look great but net you the best offer possible. This can be exciting and pretty scary at the same time. Because on of the things home stagers ask you to do is remove pretty much all of the things that you used to personalize your home. They want potential buyers to be able to imagine themselves living in the home which is hard to do if it is full of YOUR personality. If you want to know how to do this yourself so you can sell your house faster and for more money, check out the full article. There are some great tips in there. If you have a house in Louisville that you need to sell fast, staging can help get the ball rolling, but there are many other things to consider. Take care of small repairs, spruce up the exterior of the house, and add some touches that make it look inviting.